At this time of year, we usually hear of fixture abandonments due to cold weather and snow. In these situations racecourses will often donate food that would otherwise be wasted to local good causes. This week, with racing unexpectedly cancelled in order to contain an equine influenza outbreak, racecourse teams are left with surplus food for hospitality guests who had pre-booked to attend the cancelled fixtures. “This year we have a strong focus on community engagement and giving back. At Christmas we ran our ‘Secret Santa’ among staff asking them to bring in gifts that would be taken to New Direction – the Salvation Army resettlement centre in Braintree. ‘The team were clearly disappointed to not be racing on Thursday but of course it’s the right thing to do following the BHA’s guidance and investigations. 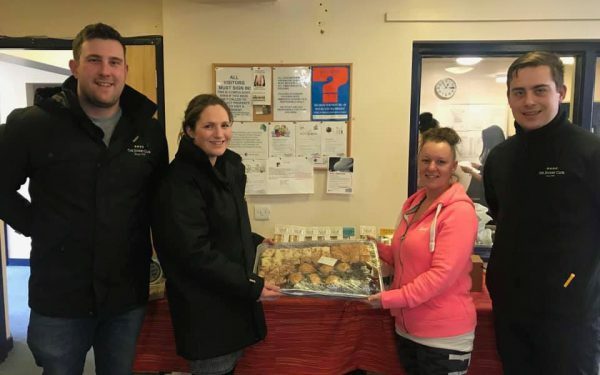 It was unfortunate that the racecourse had so much food left over that would have gone to waste, it was an obvious decision for the team to try and reuse the food and we felt we could make a difference to the local community’.